Anyone who values the love in preparing a dish from absolute scratch will most likely agree that nothing will ever compare using a homemade stock from the commercial stuff you buy in any supermarket. There is something “homemaker-ish” (yes I know that’s not a real word but I’m coining it!) about making a dish completely from the bare-bones-beginning and also a distinct satisfaction in being a thrifty cook as well! “Bones don’t go in the bin… they go in the fridge and then tomorrow we boil them up”! Using your own homemade stock will completely elevate the flavour model of a dish from standard to gourmet. There really is zero comparison. Now don’t get me wrong; I am not a complete Julia Child (oh holy Julia). I do cheat and use the generic stuff 70% of the time as it is more convenient and sometimes, I just simply don’t have any leftovers to prepare the stock. But when I do have these bones sitting and looking all morbid in my fridge, I rarely throw them out so I make a stock and then freeze it for future use. 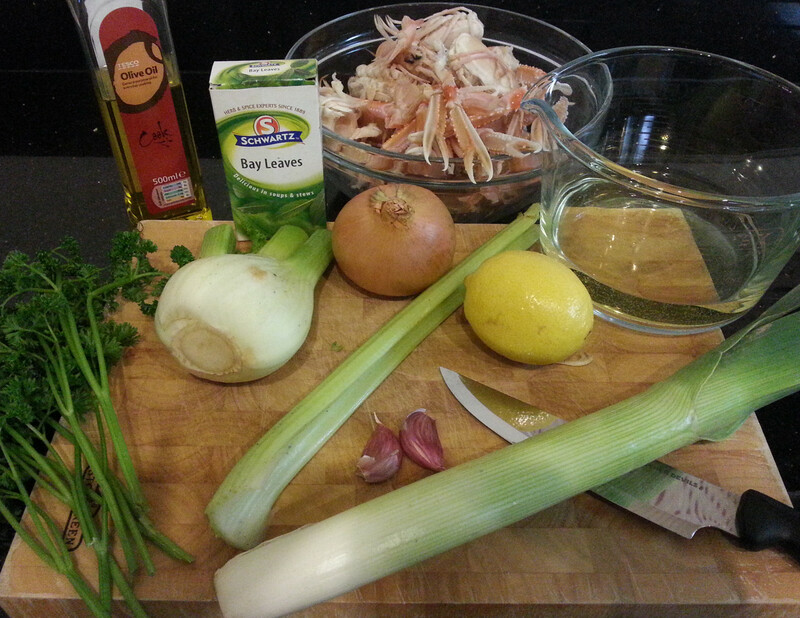 Now about this recipe; one evening I was treating myself to a meal of Dublin Bay prawns from http://cavistons.com. On this occasion, I could not just get the prawn tails they frequently supply so I had to buy about 20 of the full prawns… head, claws and all. The price of this was over double what I normally pay as the weight of this yummy crustacean’s head and claws consequently pushed the price up. Well, I got home, twisted the heads off (a very gooey sight to behold) removed the claws and the tail shell, extracted the meat and blanched them in salted water. It was a delicious meal but I couldn’t help looking at all the ravaged raw heads and shells that were sitting in the sink and realising the expense of this meal was actually about to go in the bin. So I decided to make stock from it. I have to say preparing this was not the most visually appealing experience (advance apologies) but the smell is amazing and when I did use the stock to prepare a mussel soup meal, I was astounded. It was absolutely delicious and definitely elevated the meal to a very lavish one! (I’ll pop the recipe up for this mussel soup later)..! Watched an ‘Ice Age’ movie instead!! Always cracks me up. Wine I drank: Actually had a Gin & Tonic with Bombay Sapphire Gin. Serves: Makes about 1.5 litres or 1 litre for a concentrated flavour. 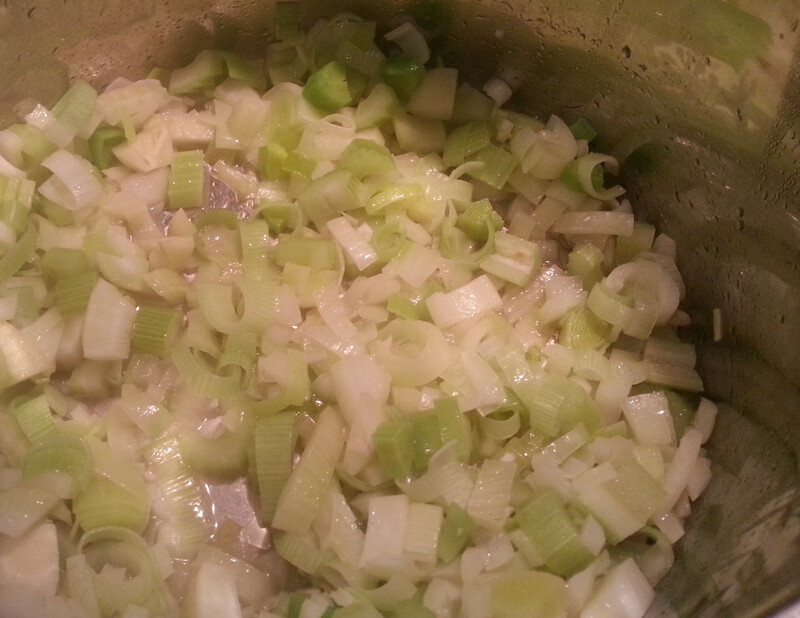 Put the leek, onion, celery, fennel and garlic into a stockpot or large saucepan. Add the oil and heat until the veggies start to sizzle. Gently sweat these under a low heat, covered for about 15 minutes, until softened. 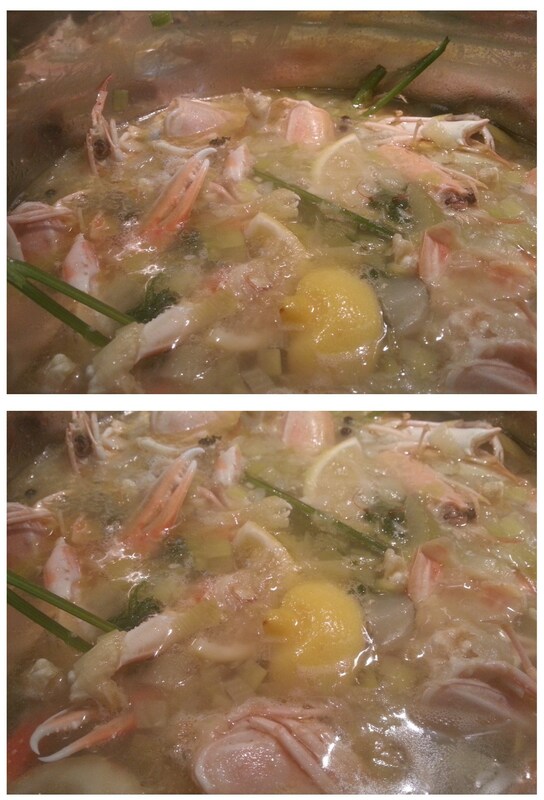 Stir in the fish bones and head or prawn carcasses and heads. (Now this may start to resemble a major, prominent cast member of the movie Alien, Aliens, Alien 3 etc)… Add the wine and cook until almost all the liquid has evaporated. Pour in 2 litres of cold water and add the herbs, lemon and peppercorns. Bring to the boil, skimming off the scum off the surface with a wide spoon. Reduce the heat and simmer, uncovered for 20 minutes, no longer. Remove from the heat and leave to settle for about 10 minutes. 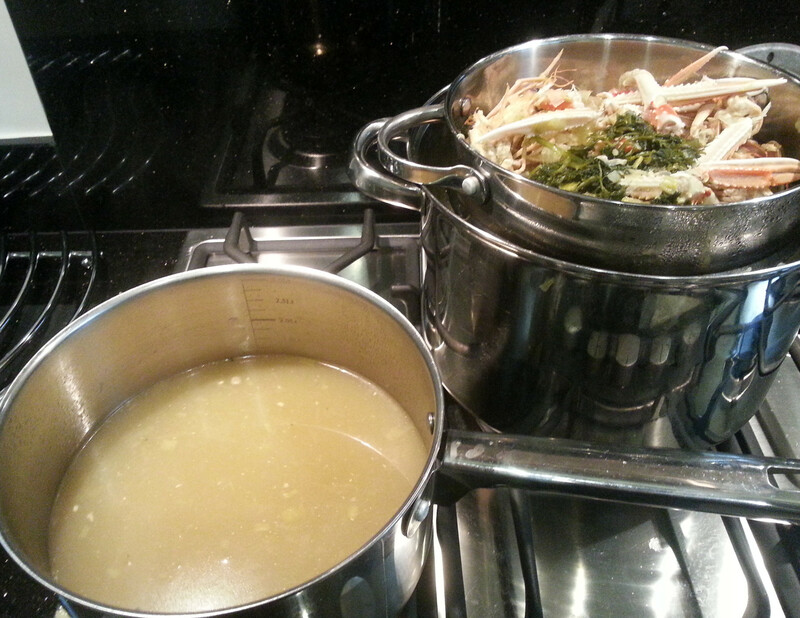 For a more concentrated flavour (which I prefer especially for soups and sauces), you can boil the stock down to 1 litre. Using a coliander or large sieve, strain the liquid through it, removing the larger bones with a draining spoon first. If you are not using it straight away, cool, then chill and use it within 3 days or freeze it in 500ml batches and use within 1 month. 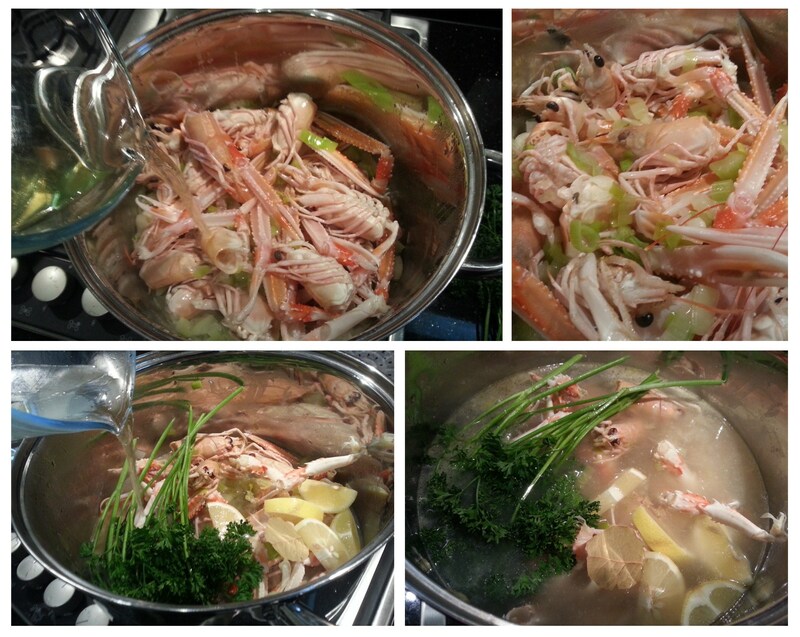 * This recipe is loosely based on a Gordon Ramsey fish stock recipe from his booked entitled “Passion for Seafood”. I changed it by using more parsley, a bay leaf and the luxurious prawn carcasses and heads instead of just white fish bones.